Professional Group of Appraisal LLC wishes a Happy New Year to all its clients and partners! Let you sheer benefits, fruitful deals, promising start-ups and major decisions, a year of health and well-being to you and your families! In accordance with Interfax, which refers to its source in the City’s Administration, Sergey Sobyanin, Mayor of Moscow, signed a regulation of the Moscow Government on determining the list of the real estate properties which will be taxable based on their cadastral base. Mr Sobyanin said, that the document determines the list of 5,465 buildings, premises and constructions, with the taxable base determined in accordance with their cadastral value for the year 2015 and subsequent years. Another list includes 116 non-residential premises located in multiple dwellings, whose taxable base also is determined based on their cadastral value. It is important that the revised Law, “On the individual property tax”, provides for calculation of the property tax based on the real estate properties cadastral value rather than its assessed value. The revised Law was approved at the Meeting of the Moscow Duma in its final reading on 19 November. In accordance with the Law, the tax rate chargeable on the real estate properties (houses, apartments) with the value of below RUR10 mln (some 77 percent of such apartments in Moscow) will be 0.1% of cadastral value, while with the value from RUR10 mln to RUR20 mln, 0.15 percent (20 percent of apartments), from RUR20 mln to RUR50 mln, 0.2 percent (2 percent of apartments), from RUR50 mln to RUR300 mln, 0.3 percent (1 percent of apartments, at most). Tax rates as applicable to the garages and parking places will be 0.1 percent, residential houses under construction, 0.3 percent, retail, public catering facilities, as well as taxable objects with the cadastral value in excess of RUR300 mln, 2 percent, other realty properties, 0.5 percent. In accordance with Maksim Reshetnikov, Head of the Department of Economic Policy and Development of Moscow, it will be only in 2020 when the transition to the new rates established by law will be completed. There will be 15 categories of the beneficiaries exempt from the property tax duty. Actually, taxes calculated based on cadastral value introduced on 1 January 2015, will be payable by 2016. The city authorities expect that the transition to a new system of taxation will bring to the Moscow Budget additional RUR3.5 billion in 2016. 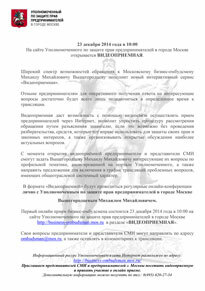 On 23 December 2014, a video outer office of the Business Ombudsman for Moscow will start functioning at 10:00 a.m., on his official web-site. Today there a wide range of resorts for businessmen exists which will be added by the video outer office, which is a new service, of Mikhail Mikhailovich Vyshegorodtsev, Business Ombudsman for Moscow». Where a reply on receipt is required businessmen will need the only thing, that is to link to the broadcast conference at the scheduled time. The video outer office ensures callers’ acceptance using the videoconferencing through the Internet, simplified consideration of the applications by way of clarifications delivered to the callers, where possible without having the case heard, with due concern for the means the caller is eligible to protect his/her rights and legal interests, as well as arranging open discussion of the acute matters. As soon as the video outer office starts its operation, the business community and the mass media representatives may ask Mikhail Mikhailovich Vyshegorodtsev any questions related to the subject announced on the web-portal and also send their offers to include any acute issues of the industrial nature into the translation schedule. The video outer office format offers regular online conferences personally with Mikhail Mikhailovich Vyshegorodtsev, Business Ombudsman for Moscow. The first online translation is scheduled for 10:00 a.m., 23 December 2014, at business-ombudsman.mos.ru section Video Outer Office. The businessmen and the mass media may e-mail their questions to ombudsman@mos.ru, as well as leave their comments to the translation. Anna Isaeva and Irina Komar, both Managing Partners of Professional Group of Appraisal LLC, have passed their qualification exams and became members of RICS (The Royal Institution of Chartered Surveyors (Great Britain)). In accordance with Irina Komar, Managing Partner of Professional Group of Appraisal LLC, “A consultancy firm with a RICS member enjoys a distinctive strength in the market since many clients, especially, international ones, request valuation works in accordance with RICS standards. In addition, this qualification consolidates the level of client’s trust in the Firm and also supports our higher professional level”. Anna Isaeva said that she has the honor to be part of this professional community and that she is proud of MRICS qualification of her and Irina Komar, which is awarded to members of RICS. RICS standards are recognized in 146 countries of the world and are the recognized and most reputable in the valuation industry. 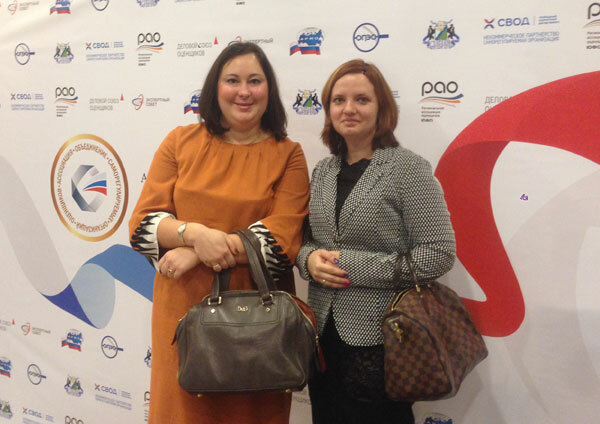 Anna Isaeva and Irina Komar, both Managing Partners of Professional Group of Appraisal LLC, took part in the 3rd All-Russian Valuation Forum, “New Rules of Game in the Valuation Market, which was held in the President Hotel. 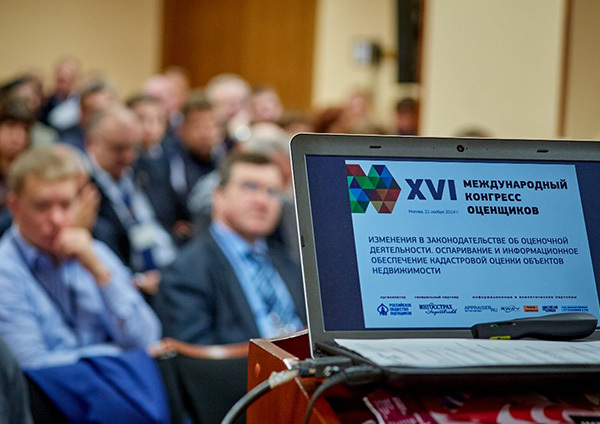 Moscow will host the 3rd All-Russian Valuation Forum, “New Rules of Game in the Valuation Market: Risks and Possibilities”. The participants will witness the ceremony of awarding the laureates of the Annual National Valuation Award which will be held during the official part coincided with the Valuer’s Day. Besides, there will be an entertainment show and celebratory banquet. Speakers for the Ministry of Economic Development of the Russian Federation, the State Duma of the Russian Federation, Government Office, Strategic Initiative Agency, Federal Service of State Registration, Land Register and Mapping, ROSNANO, State Corporation Olympstroy, Russian Railways, Lukoil, Gazprom, Audit Chamber of the Russian Federation, Chamber of Commerce and Industry of the Russian Federation, Self-regulated Organization of administrators, lead banks, etc., all are invited to take part in the event. Professional Group of Appraisal LLC compliments its colleagues on the Valuer’s Day! 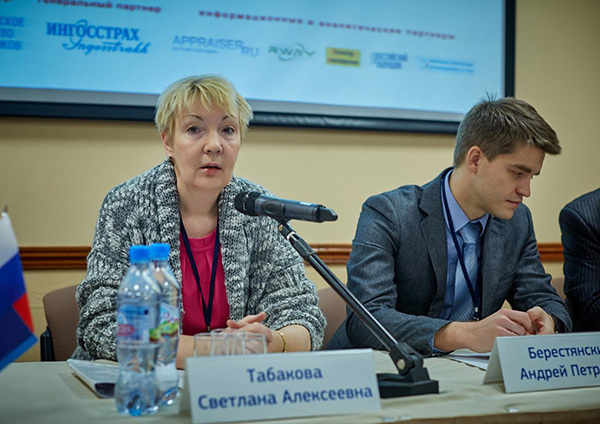 Irina Komar, Managing Partner of Professional Group of Appraisal LLC, took part in the 16th International Congress of the Valuers, “Changes in the Legislation on Valuating. Disputing and Data Support of Real Estate Properties’ Cadastral Value”. The Congress discussed the acute issues: new developments in the legislation on valuating, disputing of the cadastral value and the disputing practice. The reports delivered by A.P. 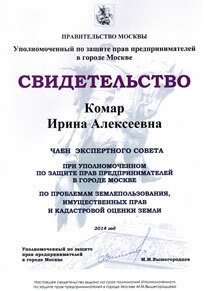 Berestyansky, Head of the Department of Real Estate Properties for the Russian State Register, and D.V. 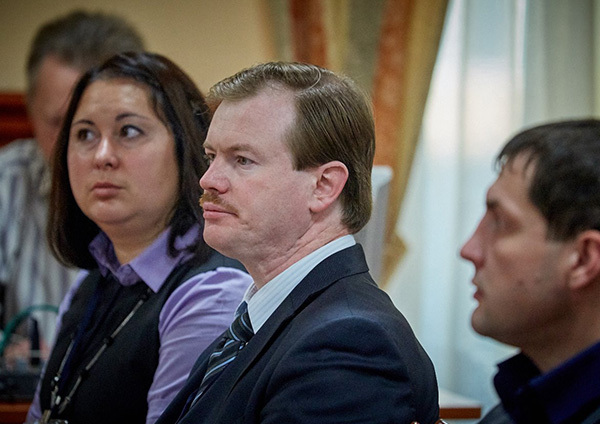 Kovalev,Head of Valuation Department for Federal State Unitary Enterprise Federal Service for Technical Inventory, focused on the current valuation of the cadastral value of the capital structures in Moscow and stirred interest of the participating experts. 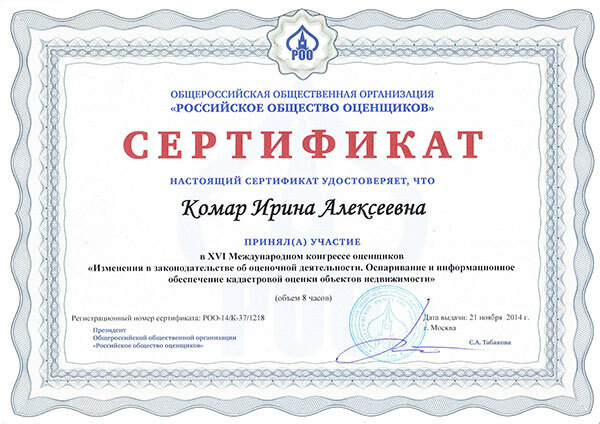 Within the frameworks of the Qualification Program, the valuers for Professional Group of Appraisal took part in the workshop labeled, “Interconnection between the discount rates and capitalization in valuation of commercial real estate”, conducted by the Moscow Regional Division of ROO as part of the RABFAK Project. The Ministry of Economic Development and Trade of the Russian Federation has approved Federal Valuation Standard (FVS) No. 7, Valuation of Real Estate. For the full text of the Standard, please click here. 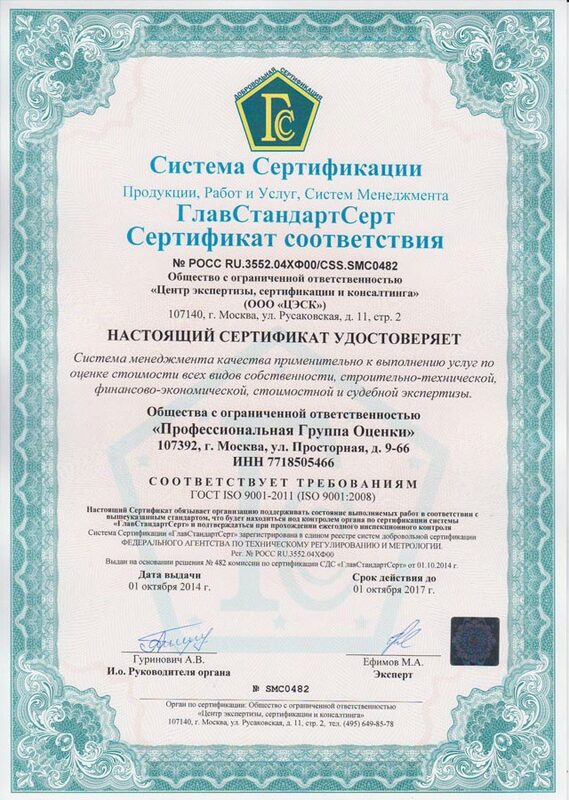 Professional Group of Appraisal LLC has been approved by Sberbank of Russia as a provider of valuation services to the individuals and in the micro business segment and was included in the list of the valuers that satisfy the Bank’s demands. The Firm invites individuals and legal entities with the annual return of before RUR60 mln, who intend to be a borrower from Sberbank of Russia, to enjoy the 10 percent discount, which will be offered them with respect to our valuation services. This offer will remain effective till the late autumn 2014. The Arbitration Court of Moscow has instructed A.Yu. Isaeva, expert for Professional Group of Appraisal LLC, to perform expert financial and economic testimony in court with respect to File No. А40-50348/2014. 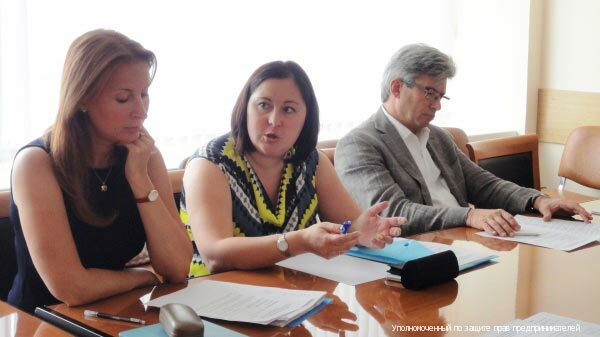 Irina Komar, Managing Partner of Professional Group of Appraisal LLC, has participated in a regular meeting of the Expert Council of the Business Ombudsman for Moscow on issues related to land use, property rights and land cadastral value. 1. Acute issues that may arise in the course of land valuation in case of a buyout of a stand-alone building in accordance with Federal Law No. 159. 2. Development of proposals related to future amendments to be introduced into Ruling of the Moscow Government, “On introduction of changes into the legal acts of the Government of Moscow”, No. 710-PP, dated 29.10.13. 3. 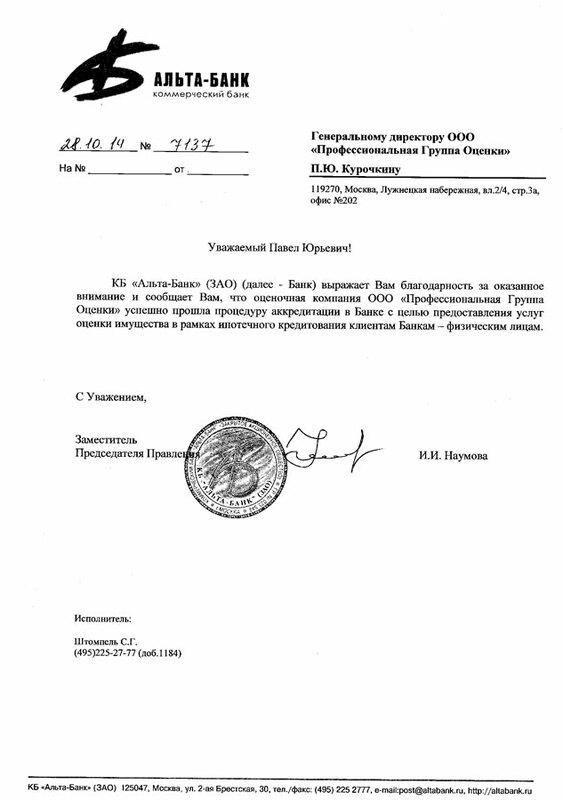 On identified evidence of violations of the legislation of the Russian Federation and the city of Moscow in the course of cadastral valuation of land by the public authorities of the city of Moscow. 4. Discussion of particular complaints and appeals to the Business Ombudsman for the period to date. 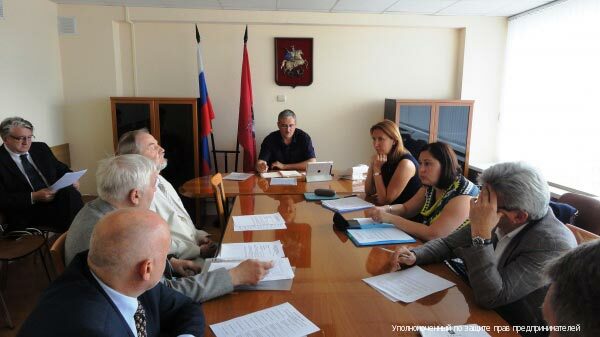 Irina Alekseevna Komar, Managing Partner of Professional Group of Appraisal LLC, took part in the meeting of the business community of the South-Western Administrative Okrug of Moscow and expert, M.M. Vyshegorodtsev, Business Ombudsman for Moscow. Professional Group of Appraisal LLC took part in a project launched by Expert RA, Rating of the Valuers based on the 2013 performance results. A.Yu. Isaeva and I.A. 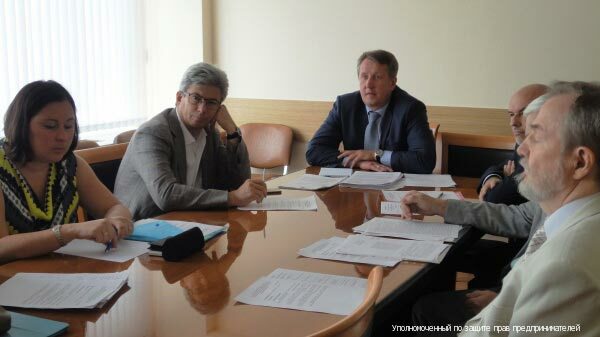 Komar, both experts for Professional Group of Appraisal LLC, were instructed by the Arbitration Court for Moscow to perform estimate examination under File No. А40-43997/2014. Within the frameworks of cooperation of Professional Group of Appraisal LLC with Insurance Open Joint Stock Company VSK, our Firm has updated the data used in the computations performed by the Program Complex Calculator of Value of Real Estate Properties developed by our Firm. 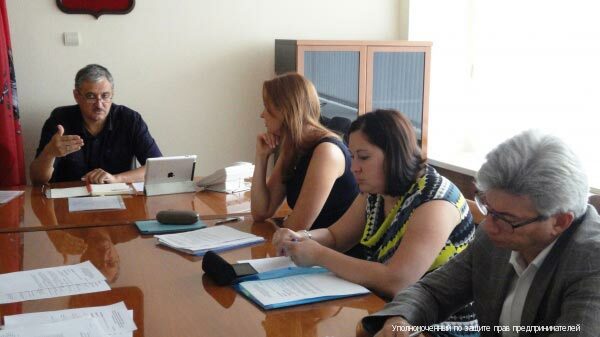 Irina Alekseevna Komar, Managing Partner of Professional Group of Appraisal LLC, took part in the first constitutive meeting of the Expert Land Use, Property Rights and Land Cadastral Valuation Council of the Business Ombudsman for Moscow, which has been held at the Business Ombudsman for Moscow Executive Office (15, Novy Arbat Street). 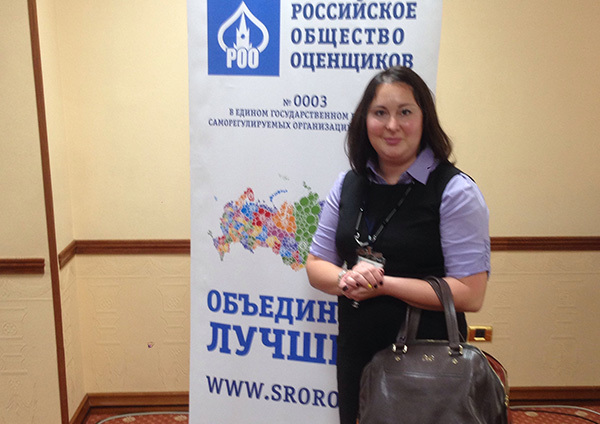 The Business Ombudsman for Moscow has invited Irina Alekseevna Komar, Managing Partner of Professional Group of Appraisal LLC, to join the Expert Land Use, Property Rights and Land Cadastral Valuation Council of the Business Ombudsman for Moscow and take part in its activities. Professional Group of Appraisal LLC has been re-approved with SRO ROO, included into the Valuers’ Register of ROO and confirmed its membership with NP Partnership ROO. 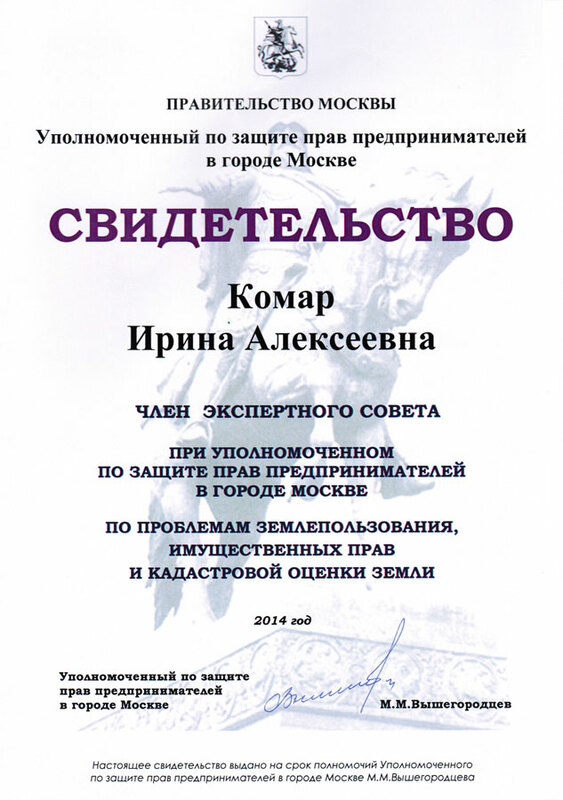 Professional Group of Appraisal LLC has extended its membership with NP Partnership of Russian Valuers’ Society for 2014. Professional Group of Appraisal LLC has completed its valuation works performed with respect to Logopark Pyushma, a largest in the Urals logistics park with the total area of 194,000 sq.m. Joint-Stock Commercial Bank Transstroybank (ZAO) has selected Professional Group of Appraisal LLC as the valuer of two Russian companies and hotels: CourtYard by Marriott Moscow City Center (Moscow) and Renaissance St. Petersburg Baltic Hotel (St. Petersburg), on the books of the above companies. 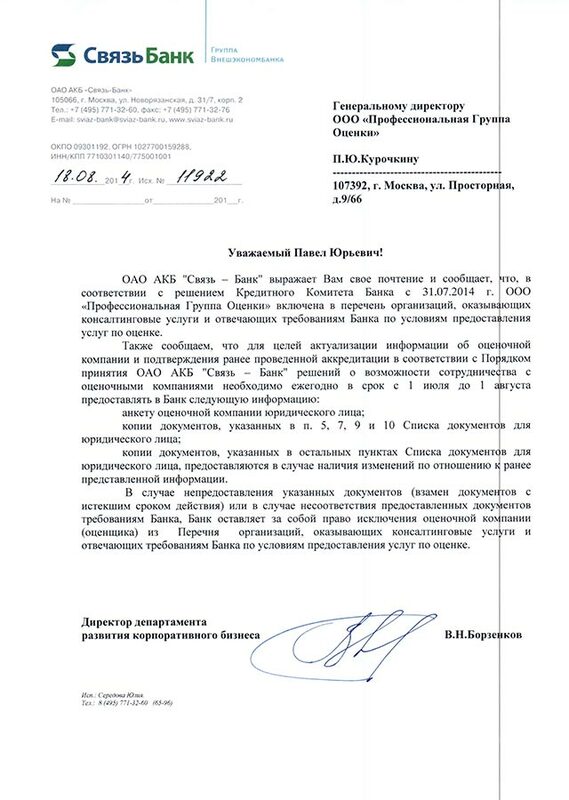 The Moscow Arbitration Court has appointed Professional Group of Appraisal LLC to act as an expert organization with respect to Case of disputing the cadastral value, File No. А41-5439/14. Professional Group of Appraisal LLC has been included into the list of the experts-partners of OJSC OTP-Bank as a provider of the services of valuation of property for the purposes of mortgage credit lending of individuals. Professional Group of Appraisal LLC has been elected as a valuer of Logopark Pyushma, a largest in the Urals logistics park. The total area of the logopark is 194,000 sq.m. A.Yu. Isaeva and I.A. 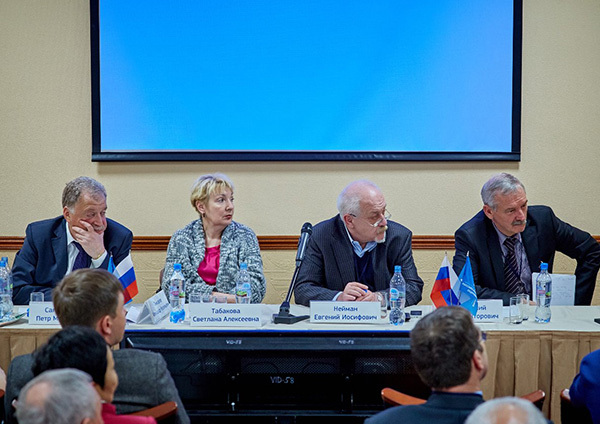 Komar, both Managing Partners of Professional Group of Appraisal LLC, took part in the Roundtable labelled “Acute Issues of Cadastral Valuation Results Disputing”, held in the Central House of Businessman, organized by NP Partnership ROO and All-Russian Public Organization OPORA of Russia. Professional Group of Appraisal LLC has launched works of valuation of the land and property complex (canning factory) located in the Serpukhovsky District of the Moscow Region. The Firm has celebrated its anniversary in the Yar Restaurant, Sovetsky Hotel. We appreciate our colleagues and partners and 10 years of our fruitful cooperation to the benefit of our clients! Today we celebrate our 10-year anniversary! We invite our colleagues and partners to join us at our festive dinner, Gzhel Show Program, Yar Restaurant: Bl.2, 32, Leningradsky Prospect, Moscow. The event will begin at 9:00 p.m.
Professional Group of Appraisal LLC has completed valuation of a bank building which accommodates the head office of JSCB Transstroybank. 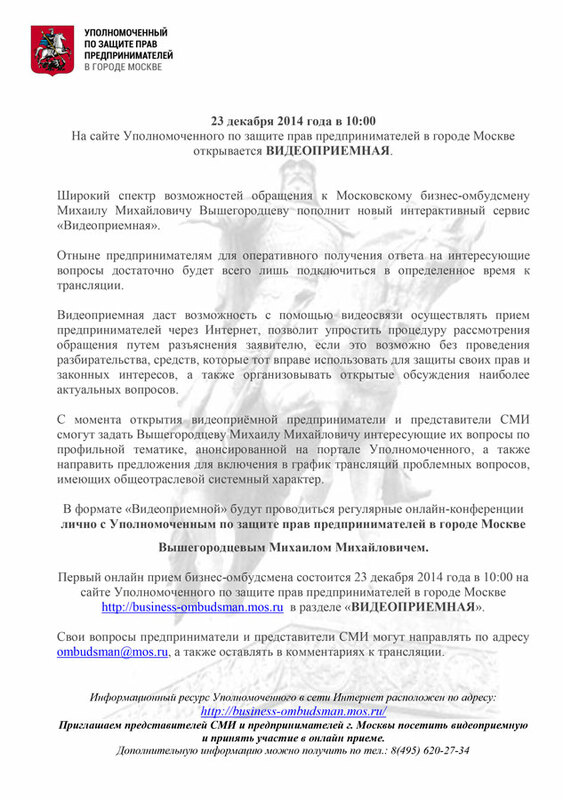 In accordance with Article 5 of Law of the City of Moscow, “On the Business Ombudsman for the City of Moscow”, No. 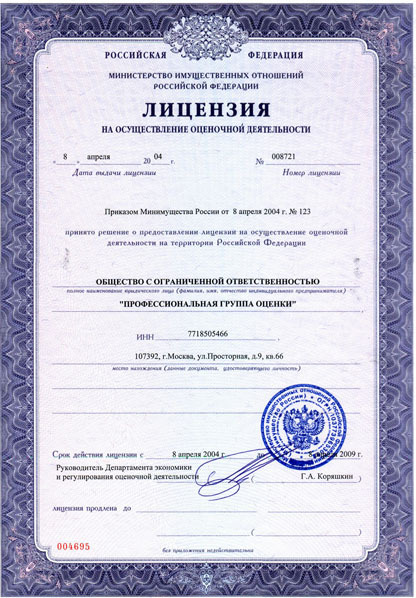 56, dated 30 October 2013, the Institute of the Business Ombudsman for the City of Moscow was established on 14 January 2014 through the Order of the Major of Moscow.